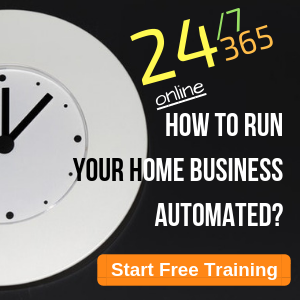 What Home Business Should I Start? Millions of Americans work at home. Their “work” is as varied as the individuals themselves. Some telecommute, others have their own businesses, others are contract workers. 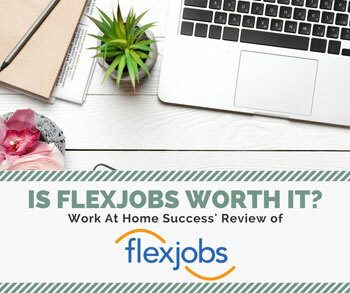 Some created their work-at-home situation from scratch, others took advantage of flexible work options on the job or bought into an existing business such as a franchise or MLM. 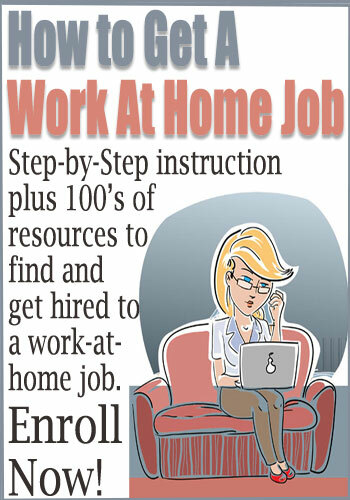 For many beginning to examine work-at-home options deciding to work at home is the easy part. Its the deciding what to do that is difficult. 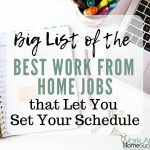 Over the years I’ve been able to meet many people who work at home, and what I’ve found is that nearly all of them do something that is related to a talent, interest or passion. They take a job skill and turn it into a service business or they sell their homemade goodies, and so on. Brainstorm your skills, talents, experience and passions. Write them all down without thinking about whether or not it could be turned into a business. This is important! After all, who would have thought a talent for baking cookies would make Mrs. Fields a well-known name? Using your brainstorm from number 1, think of business ideas (wacky or not) that could result from your gifts, etc. 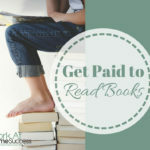 To help, use the books that list a zillion ways to make money from home. While these books aren’t so helpful on specifics, they are full of many different ideas you might not think of on your own. Some interesting ideas I have seen are: bartering club, holiday decorator (for homes and businesses), consultants (of anything), genealogy researcher, sales lead generator, referral service (from child care to bed & breakfasts), and so on. Use your search engine to search for keywords related to your idea to see what others are doing. Are they blogging about their passions? Selling their wares online? 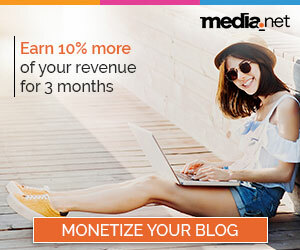 Marketing affiliate products? Also, find out if there are business-in-a-box offers such as direct sales related to your interests. Pick a few ideas and begin to research the feasibility of creating a business. For example, if you want to work completely from home, a business that required you to leave home to meet clients may not work. Also, begin to do market research to determine if there are people who will pay for what you want to offer. Whatever you choose, be sure it is something you want to commit to spending a great deal of time working on. If you are sick of bookkeeping, you probably shouldn’t start a bookkeeping business. Write a business and marketing plan. This is vitally important because businesses that fail to plan, plan to fail. Commit to your plan and your business. A business doesn’t grow overnight. Persistence and dedication are required. Find books and people to help you stay motivated and confident in yourself and your new venture. The important thing to remember when searching for the best home business for you is to start with what you already know, love or do. Too many people jump online looking for fast, easy and profitable which almost never works and in most cases will lose money. You can’t make money at something that’s a gimmick or that you aren’t truly invested in. For example, there are good MLM companies but if you don’t like the product or aren’t willing to talk to people, it doesn’t matter how profitable it could be. You only make money when you do the work. So choose a home business that you can believe in and stick with. Finally, choosing a business in an area you already know about shortens the learning curve and the time it takes to make money. Starting a business can take time because you have to plan, learn about marketing, obtain needed permits, etc. Choosing a business you know nothing about means you have to learn it along with everything else. But if you know about your business idea already, then all you have to do is put the business part in place. 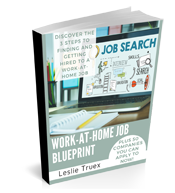 Work-At-Home Success has articles, podcasts, books and courses on a variety of work-at-home options to help you find the right business for you. I would like to know one thing. If a person is working at a regular job, how can they make the time for their own business to get started with? Please, do let me know. 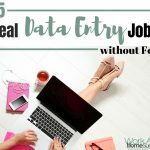 I’m wanting to find that information out because, I do work at a regular job and would love to just stay at home and work on my business. Your attention on this matter would be greatly appreciated. They have to find the time. Perhaps they give up TV. They stay up later or get up earlier. They use their lunch break. And they spend time on the weekends on their business. Many people who currently work at home, got started while working a traditional job. Its just a matter of prioritizing. You are right. It is very important to do what you love, or else you will find the work excrutiating. I started a finace website. I don’t like talking about finance, nor do I know much about it. It was painstaking to write content for the website everyday. So choosing something you already know somthing about is important. I was going to comment about how hard it is to get started in your own business because it often takes a number of false starts to get it right, but then I read your comments. I would like to comment on Teresa’s question. I have been working from home for years, and while there are obvious priority shifts that must happen to find the time to work, it is a constant struggle that is never fully solved. This is true whether or not I have had additional jobs outside the home or not. 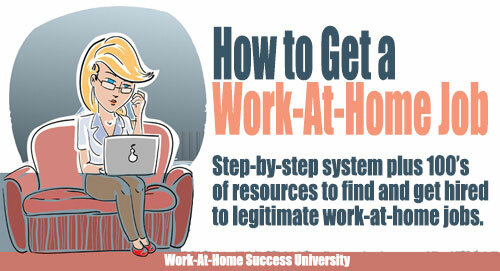 If you want to work at home, one of the things that you must be prepared for is the difficulty of finding time to work. It is never as simple as skipping TV. If you do skip TV, you may find that you business needs more time than that. What do you skip next? Frequently I hear people who work at home struggling to remember time to devote time to their spouse, to their self-care, to taking time off. Working at home easily encroaches on all the other parts of your life. If you want to work from home, you will have to accept that this is part of the challenge. The rewards are great–and frankly I don’t ever want to work for someone else. But this doesn’t mean that it is easy. And it certainly is not a matter of just skipping TV. .-= Julia´s last blog ..Moms and Dads – Do you have that Burning Desire? =-. Good points Julia, but my statement wasn’t that success would come simply by skipping tv. But when people say they don’t have time to find a way to work at home, I often find they spend hours a week watching TV. Since TV doesn’t make money, it seems like an easy thing to give up in the short run to have time (the issue) to find or create a work-at-home situation. The point is, everyone is busy. People who are successful at home don’t have gobs of time. They have to prioritize and shift things around just like everyone else. And yes, sometimes they over do it and end up neglecting other areas. I am simply stuck. Period. I know aspects of running an office. My degree is Business Management, however I would like to learn medical transcript, but for right now I am out of work and despritely looking for online work or opportunity and do not know where or how to get started. ANY SUGGESTIONS. Hi Annette. Based on your background, I might suggest looking for virtual assistant, transcription or customer service work or business. 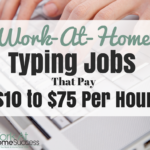 While medical transcription is a good way to make money from home, the home-based positions require 2-5 years experience. So not only would you have to learn it, but you’d have to have several years working for a medical clinic or hospital first (although many will allow their staff to work from home after a probation). Do to my health i’m unable to get a job i have many hobbies i do. There is one i really like to do its crochet how can i turn it into a business can anyone tell or help me with this. There are several ways to turn crochet into a business. One is to sell your crochet items on Etsy (it’s similar to eBay only for crafts). Or, occasionally I find places buying crochet plans. Another option is to write a crochet book or video tutorials and sell them. I’d suggest finding a book about Etsy and/or on making money from your crafts. Your library may have one or check with Amazon, which might have some used. Good luck!